Effective January 2018: Please note we are now able to order fabric for your Essential Bespoke commission from many of the cloth brands listed below. This is likely the most convenient option for most US customers outside of New York City. In my personal blog I have written about the pitfalls of assessing cloth quality as well as an introductory primer and empirical comparison of cloth quality. Textile quality is clearly an important consideration for picking a cloth. The good news is that if you buy cloth produced from a well-known, established mill or merchant there is very low risk of purchasing a defective or subpar cloth. Effectively (for now at least), this means buying cloths of English or Italian manufacture identifiable as such on the selvedge. 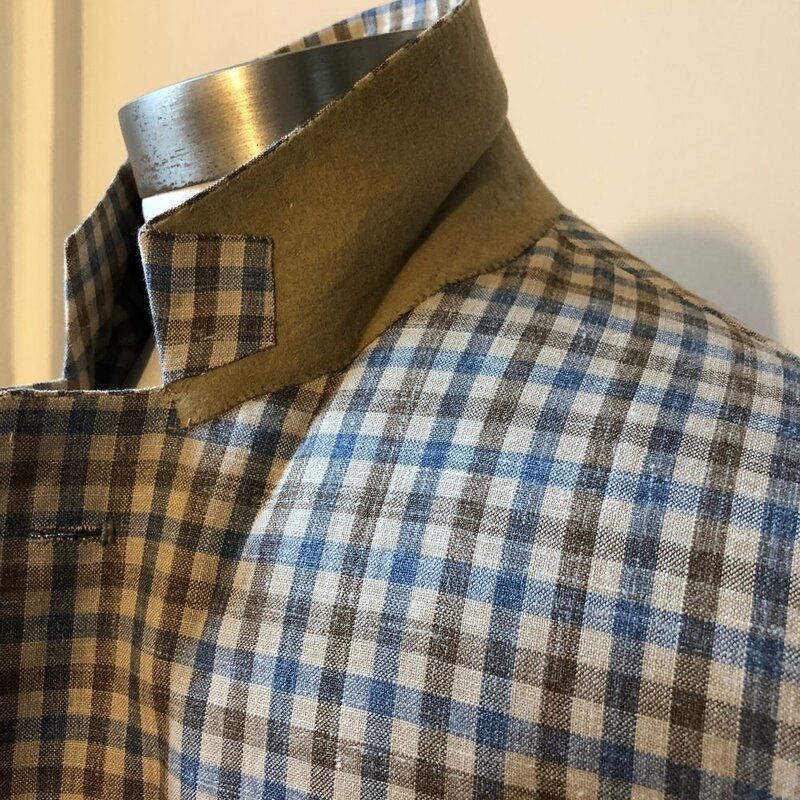 While there are always exceptions depending on the fiber and mill involved, I think it is fair to say that English cloths, especially vintage ones, tend to be heavier weight and feature more conservative patterns and a drier finish. In contrast, Italian suiting and jacketing cloth tend to enjoy wider color and pattern variation with softer hand feel and finishes. This distinction was clearer in the past but you can still see differences today between the English and Italian approach to suiting and jacketing cloth. Ideally, you should visit a local fabric store who sells directly to consumers. That way you can see and feel in person the cloth before buying it. If you live near or in a major city, your best bet is to go a local fabric merchant who has access to quality cloth. These include Tip Top (New York City), Britex Fabrics (San Francisco), Mood Fabrics or B. Black & Sons (Los Angeles). Alternatively, you can find third-party sellers and mills that sell direct to consumer such as Fox Flannel, Huddersfield Fine Worsteds, British Fabrics, Pepper Lee, Yorkshire Fabric or Harrisons Burley's online shop and eBay shop. Magnificent cashmere donegal by a cashmere weaver and mill founded in 1797. This is traditional donegal tweed re-imagined intelligently and playing to the mill's strengths. Our partner has only one end bolt in this color which recently arrived (36 yards left as of May 1, 2017). This is enough to make about 12 suits. 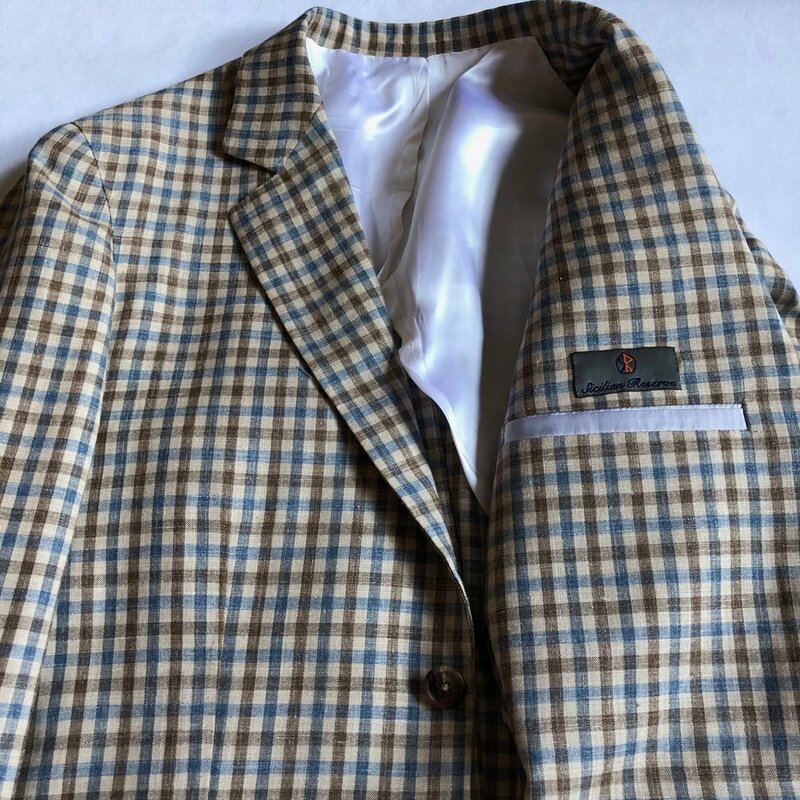 With quality issues addressed, you can focus your attention on a more compelling concern when selecting a cloth for your Sicilian Reserve order. This means deciding where to play in the aesthetic and functional sandbox - namely, weight, color, pattern, weave, and hand feel. You can start with the functions most important to you such as wrinkle recovery, drape or skin comfort. This will determine the ideal yarn/fiber type, weight, weave and hand of your target cloth. Otherwise, you can start with color and pattern and determine by a process of elimination the ideal cloth for your suit or jacket. Organize and group your initial set of swatches by color/pattern. Then do a second pass by examining and comparing their weights, hand feel and finishes to determine the winner. If you're deciding between more than two swatch options per color/pattern, divide your selections into pairs. Then do a pairwise A/B comparison and elimination according to the criteria you have set until you have your winner. Remember the selection process is greatly simplified if you hew to the established mills and merchants (large and small), focus on determining your aesthetic and functional requirements of the cloth and then conducting a pairwise comparison and elimination of the different options.